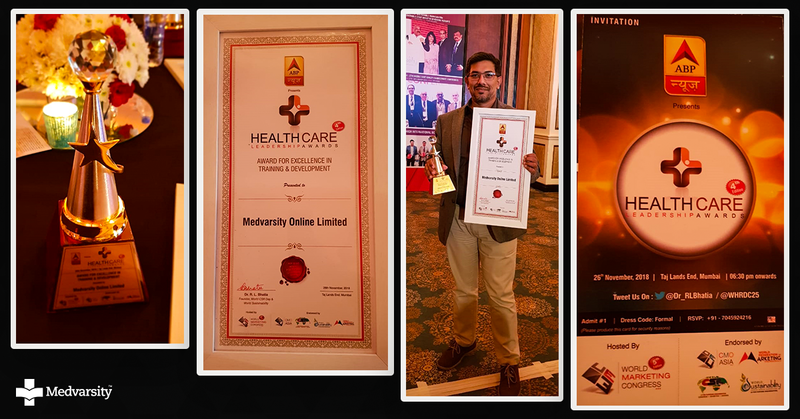 Medvarsity, a pioneer in online medical training has been awarded the 'Excellence in Training & Development in Healthcare Education’ award at the 4th edition of the ABP Healthcare Leadership Awards, 2018, in Mumbai. Through this, ABP News aims to identify businesses and individuals with various expertise from the field of Healthcare. The award recognized the company's contribution to strategic training and development in the educational field. Medvarsity has built a portfolio of end to end healthcare training programs for its students, over the period of 18 years . It offers courses specially designed for MBBS Doctors and AYUSH in various advanced skill set which will be beneficial for their career growth to a great extent. Additionally, it also caters to Nurses, Dentists, Physiotherapists, Dietitians, Medical Technicians & Managers as well, through its exclusive courses. “Its a privilege and an honour to be recognized as a leader in Healthcare education by ABP News. 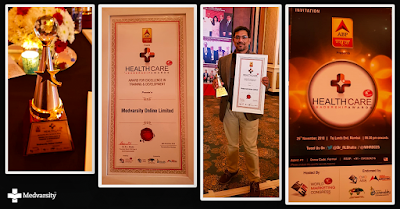 This award is a testimony to all the work that the team at Medvarsity has put together over the years and the impact we’ve delivered to our students.” said Gerald Jaideep, CEO, Medvarsity Online Ltd.
With time, Medvarsity has helped empower healthcare professionals from all over the world and takes pride in stating that 20% its students are based out of Europe, Asian countries apart from India, Middle East and Africa. The award ceremony was held at Taj Lands End in Mumbai on 26th November 2018 and was attended by brand leaders, department heads, and outstanding contributors and professionals from the healthcare industry.